Table Size: 10" x 54"
Cross Travel (Y axis): 16"
Vertical Knee Travel (Z axis): 16"
This tool has a Digital Readout. See the user manual for detailed instructions on how to use the advanced features. 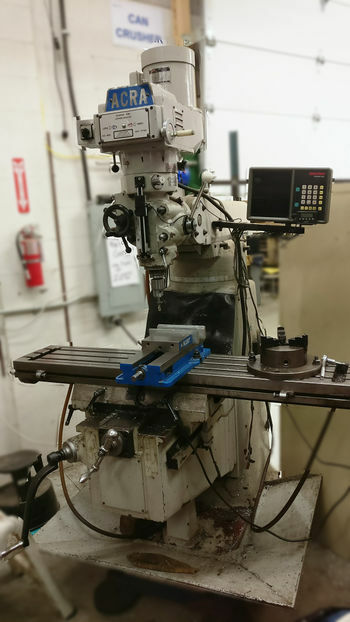 This lathe was bought by Protospace using funding approved for the purchase of new machine tools at the December 2015 members' meeting. It was picked up and brought to Protospace on 2015-12-22 along with the Challenger lathe and the new 80-gallon air compressor. This page was last modified on 4 January 2018, at 22:35.